Easy and affordable solution for reverse engineering, education and training. A skilled workforce technically educated in Quality Assurance, Portable Metrology, Manufacturing Inspection and Reverse Engineering processes is vital to compete in today’s global economy and the 3DGage extends your technical education program to support a more complete product development and manufacturing lifecycle and helps your students fill good jobs at high tech companies. The 3DGage immediately extends your 3D design and manufacturing curriculum to include modern Quality Assurance, Portable Metrology, Manufacturing Inspection, Geometric Dimensioning & Tolerancing and Reverse Engineering education into your STEM program. 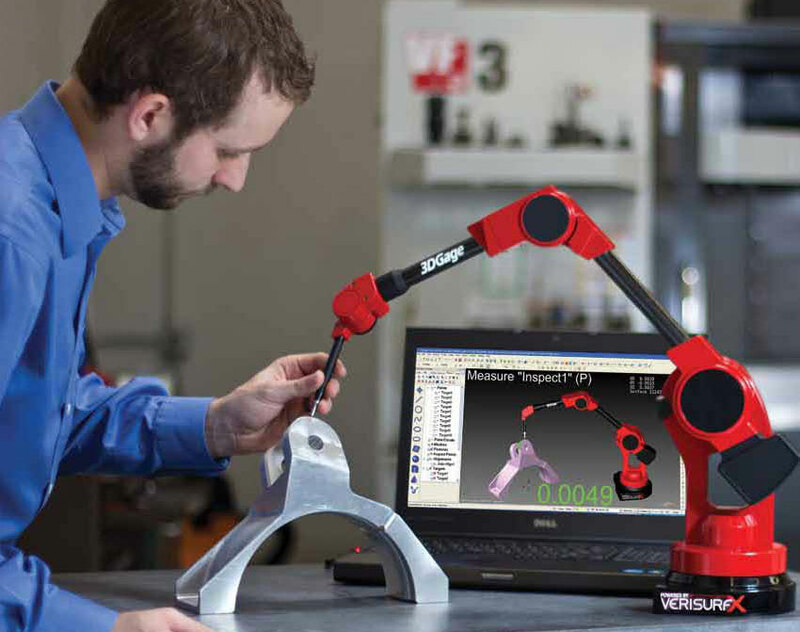 Standard: The Standard 3DGage Portable CMM is assembled from precision machined aluminum base and joints with carbon fiber tubing to minimize temperature effects. Portability is enhanced by its lightweight 3.6 kg (7.9 lb) construction, international power supply and plug & play USB connectivity. The Standard system has a 1.27 m (50 in) hemispherical working diameter with dimensional positional accuracy of +/- 0.23 mm (0.009 in). Extra Long Reach Option: The Extra Long Reach option is for measuring larger items and increases the total hemispherical measurement diameter to 1.67 m (66 in). High Precision Option: The High Precision option is for applications requiring higher accuracy measurements and features reinforced base and joints that reduce deflection and increase accuracy.